iMovie is a proprietary video editing program introduced by Apple, which imports video footage to the Mac so that the user can edit the photos and video clips by adding music, titles, and effects. Besides, you can enjoy your videos freely and create Hollywood-style trailers and stunning 4K-resolution movies with iMovie both for iOS and macOS. While MTS, short for MPEG transport stream, is a file extension for an AVCHD video clip format for high-definition video, such as Panasonic HDC-Z10000, Sony HXR-NX3, Canon XA20, JVC GY-HD100U etc. 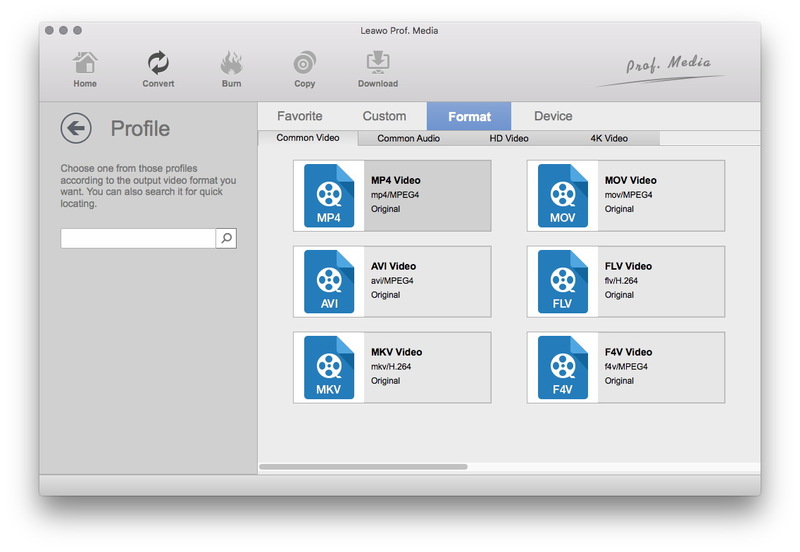 Since it usually supports MOV files and cannot work for MTS, if you want to import MTS files to iMovie and edit Panasonic, Sony, Canon, JVC, etc., MTS files in iMovie, you need to convert MTS to iMovie supported formats. Here come the solutions. There are some online MTS to iMovie converters which is free of charge, and Convertio.co would be one of the most popular ones that can work well in MTS to iMovie. Since iMoive prefers MOV format, obviously it is necessary to convert MTS to iMovie supported formats MOV beforehand. Convertio.co supports you to convert your MTS files to MOV online and free quickly and effectively. As the picture showed below, you can upload your MTS files from your PC, Dropbox, Google Drive and even URL, choose “to MOV” and click Convert, and then the online MTS to iMovie converter will work soon, you can download it then. Additionally, there is also some professional MTS to iMovie converter software which is developed to convert various videos/audios to various devices or software like converting MTS to Windows Movie Maker, particularly for MTS to iMovie. 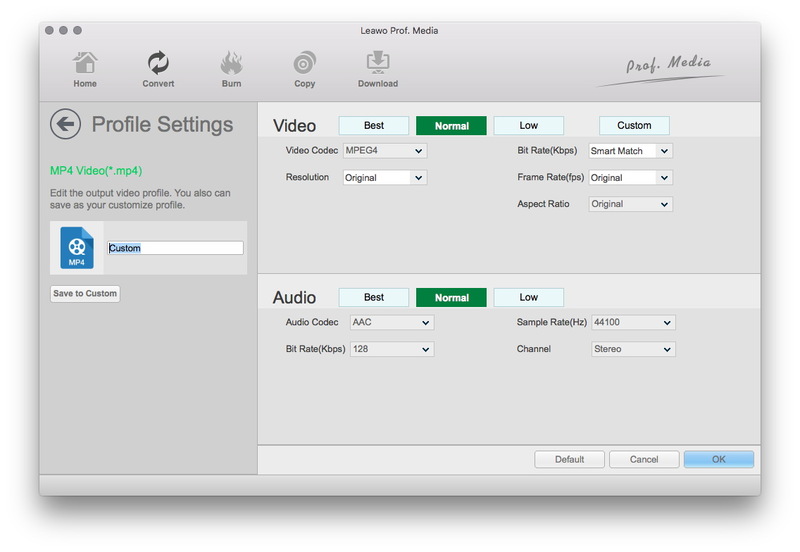 And Leawo Video Converter for Mac would be one of the best and most popular. 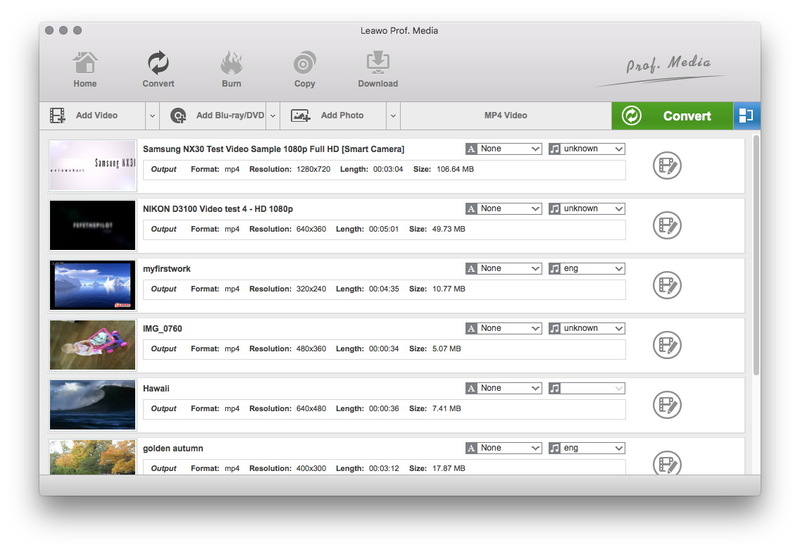 Leawo Video Converter for Mac is with 6X faster speed and 1:1 quality which can convert videos and audios in more than180 formats from one to another for Mac users. 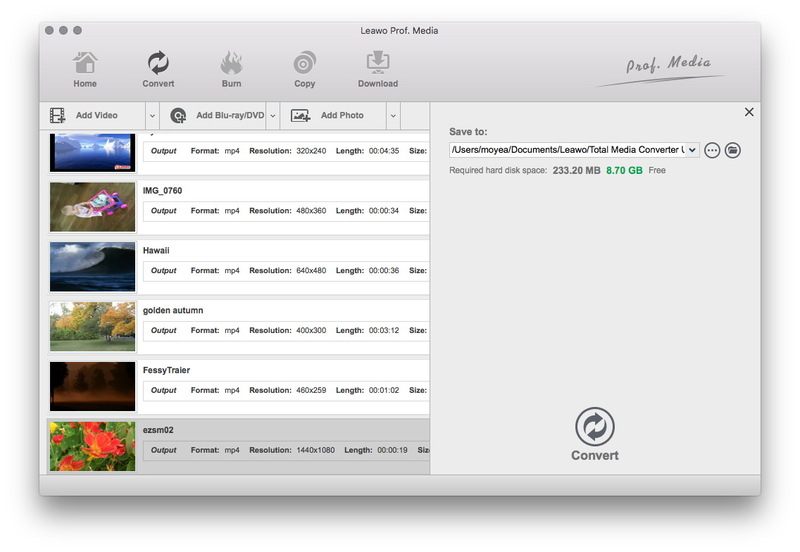 As a powerful and professional video converter software for Mac OS, Leawo Video Converter for Mac can work great in MTS to iMovie conversion. To import MTS files to iMovie finally, you should download the software and install it as soon as possible, then you can launch it to convert MTS files to iMovie as convenient as you like. And here comes the simple guide. STEP 1: Import MTS files to the Program. You can click “Add Video” to browse and load source MTS video files into this Mac video program, or you can directly drag and drop source MTS video to software as you like. Besides, you can check “Merge into one” to merge all files into one or not. Then you can move to the drop-down box right before the big green “Convert” button, open it and then click “Change” option to enter the “Profile” panel where you can select MOV as output format from “Format” group. Or you could search for MOV in the search bar directly and quickly. After choosing MOV as output format, you could edit video parameters of the output format by clicking the “Edit” option on the drop-down profile setting box, where you can set Video Codec, Quality, Video Size, Bit Rate, Frame Rate, Aspect Ratio. Returning to the main interface, and then you can click the big green “Convert” button. The output directory setting panel will pop up for you to set output directory in the “Save to” box. Click “Convert” button in the bottom of the sidebar to start converting MTS to iMovie MOV on Mac. And it will work out in minutes. Obviously, with the two solutions mentioned here, you can convert MTS to iMovie supported formats as you like. Then what’s your best choice when you are in need to convert MTS files to iMovie? Here is the comparison between them, may help you to some extent. In a word, there are different pros and cons for the both kinds of MTS to iMovie converter software, you are free to choose the proper one that suits you best. It is undeniable that the two solutions are properly helpful and useful for you to convert MTS to iMovie supported formats and you will never worry about the incompatibility of the different formats in iMovie any more. Just feel free to import MTS files to iMovie and you will enjoy yourself as you never experience.